Sam Raimi (Samuel M "Sam" Raimi) is an American film director, producer, writer and actor that was born on October 23, 1959 in Royal Oak, Michigan, USA. 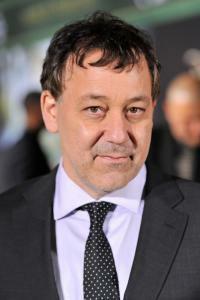 His older brother is a screenwriter Ivan Raimi and his younger brother is actor Ted Raimi . He grew up in Birmingham, Michigan and was raised in Conservative Judaism. He is 5' 11" (1.8 m), and his nickname is Sammy. Sam’s family name was changed to Raimi from the German name Reingewertz. Sam started to make Super 8 movies with his friend Bruce Campbell after his father brought home a video camera. From that point on he was fascinated with making videos. Sam attended Groves High School and graduated in 1977. He then attended Michigan State University and majored in English for three semesters before leaving for The Evil Dead (1981) film. He is famous for directing the cult horror-comedy series, Evil Dead (1981 -1997), Darkman (1990), the original Spider-Man (2002-2007) trilogy and Oz the Great and Powerful (2013). He is the founder of Renaissance Pictures and was the producer of The Possession (2012). He filmed 32-minute horror film Within the Woods (1978) while in college with his brother's roommate Robert Tapert and Bruce Campbell. The movie earned $375,000 along with short comedic film It's Murder! He then gained the help of family, friends, and a network of investors helped him finance the production of The Evil Dead (1981) which is now very successful and is a cult classic. The Evil Dead (1981) led to one exciting start to Sam’s career in the movie industry. His next film Crimewave (1985) was not successful as it was filmed as a live-action comic book. Sam did not quit and went on to shooting Evil Dead II adding humor to it which shows he’s a fan of Three Stooges. Sam started to explore other genres in the 1990s which led him to directing The Quick and the Dead (1995), A Simple Plan (1998), For Love of the Game (1999) and Spider-Man (2002). Spider-Man (2002) grossed over US $800 million worldwide and spawned two sequels: Spider-Man 2 (2004) and Spider-Man 3 (2007). All three Spider-Man movies was directed by Sam and grossed about $800 million each. He wanted to produce more Spider-Man movies but could not find a good enough script. Sam also worked on TV shows including producing the Hercules: The Legendary Journeys (1995 -1999) series and Xena: Warrior Princess (1995-2001) series. His brother Ted Raimi and childhood friend Bruce Campbell had roles in the TV shows. Sam was the executive producer in 2008 for TV series, Legend of the Seeker (2008-2010), Spartacus: Blood and Sand (2010), Spartacus: War of the Damned (2010-2011), Spartacus: Gods of the Arena (2011) and Spartacus: Vengeance (2012). Sam, his brother Ted Raimi and his friend Bruce Campbell have been working together since college. Ted and Bruce have appeared in all three of the Evil Dead and Spider-Man movies. They have also appeared in Hercules: the Legendary Journeys and Xena: Warrior Princess. Sam includes his car, a 1973 yellow Oldsmobile Delta 88 that he had since college in every movie that he takes part in. His nickname for his car is "The Classic". Another thing that also appears a lot in his movies is a bottle of Maker's Mark. He loves to make a first-person point-of-view movie. Sam is seen throwing popcorn at Peter Parker while he was walking to the wrestling ring in Spider-Man and also tossing gold coins during the bank robbery scene in Spider-Man 2. Sam married Gillian Dania Greene in 1993, and they have five children. Gillian is the daughter of actor Lorne Greene. Three of his kids, Emma Rose, Lorne and Henry, was cast as extras in Drag Me to Hell (2009) and in Spider-Man 3.